Relax on this serene 1.15-acre parcel. 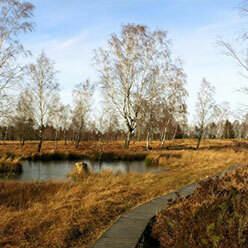 The area enjoys warm sunny days annually, making it the perfect place to live the good life outdoors. The property is heavily treed with few neighbors, offering shade and privacy. Located less than 7 miles from Alford, a small town in the Florida Panhandle near Marianna, the largest city in Jackson County. Also conveniently located just 40 miles from the coast, making a day at the beach a quick car ride away. If you’re on the hunt for sun, freedom and convenience, then this opportunity has your name on it! Legal Description: Lot 18, Block 107, Compass Lake Hills Unit Four, according to the plat thereof, as recorded in Plat Book A at Pages 124 through 129, inclusive, of the Public Records of Jackson County, Florida. Zoning Definition: One single-family dwelling allowed. Other uses with county approval.